In this newsletter, you can read about two new products that we will launch at BiOS and Photonics West. 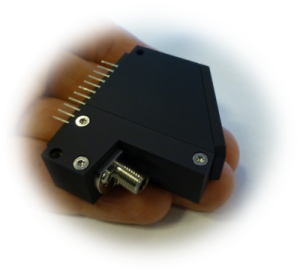 The first product is the ultra-compact, high efficiency FREEDOM UV-NIR spectrometer covering 190 – 1100 nm. The second product is the 120 mm long Pulse Compression Gratings for high power laser applications. 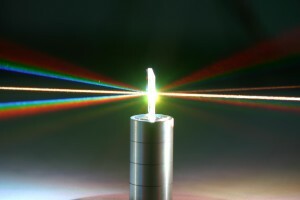 As femtosecond laser systems advance to ever-increasing energy levels, demands to the energy/power handling capabilities of pulse compression gratings increase. Ibsen manufactures 100% fused silica, transmission, Pulse Compression Gratings that offer unbeatable energy/power handling capacity, combined with high-efficiency, low wavefront distortion performance. Now, production advances allow Ibsen to supply pulse compression gratings up to 120 mm in length. Ibsen Photonics will be exhibiting at the SPIE BiOS show in San Francisco from February 1st to 2nd at booth # 8743, and subsequently at the SPIE Photonics West show at booth # 743 from February 4th to 6th, where we will be present and ready to discuss these new products with you. Jacob Andkjær is presenting the paper: “Topology-optimized broad-banded surface relief transmission grating” on February 3, 2014 at the upcoming “Physics and Simulation of Optoelectronic Devicess XXII” conference during session 2: Electromagnetics I (10:30 AM – 11:50 AM). This conference is a part of SPIE OPTO which will be held February 1-6, 2014 in San Francisco, California, USA. Find more information about the OPTO conference here. Thomas Rasmussen, VP of Sales & Marketing, is holding a product demonstration on the Demo Area located in the Moscone Convention Center. Brief Description: We present a range of innovative spectrometers from Ibsen Photonics incorporating our latest transmission grating technology with up to 90% polarization insensitive efficiency. So come by our booth for more information – we look forward to seeing you there!